Okay, so I don’t generally like ruining the ‘fourth wall’ of blogging by talking about this blog on here, but, on this occasion, it is certainly justifiable. Here at Best of Viral we have tried hard to bring you all the latest and greatest in viral content circling the internet. We’ve done okay but there’s better things we can provide alongside that too. Last month we broke our website up into categories to cater for those who just enjoy watching virals, those who want to make them, and those who want to make money from them. We are now taking that a step further and introducing a whole new way of blogging on the website. We now want to bring all of our users the best viral content whilst also learning a little about the ‘viralsphere’ that we can pass on to you- whether you want to market a product or become the next Susan Boyle. Hopefully our changes will make Best of Viral a much more valuable resource to the internet community. If you have any comments, ideas or questions please leave them as a comment. 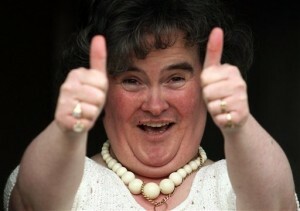 Susan Boyle defeated on YouTube too? 18% Burning Down The House: What Caused Our Economic Crisis? Copyright © 2019 Best Of Viral - Videos, News, Stories, Pics and anything else creating a storm.